I have never made anything quite like this before. 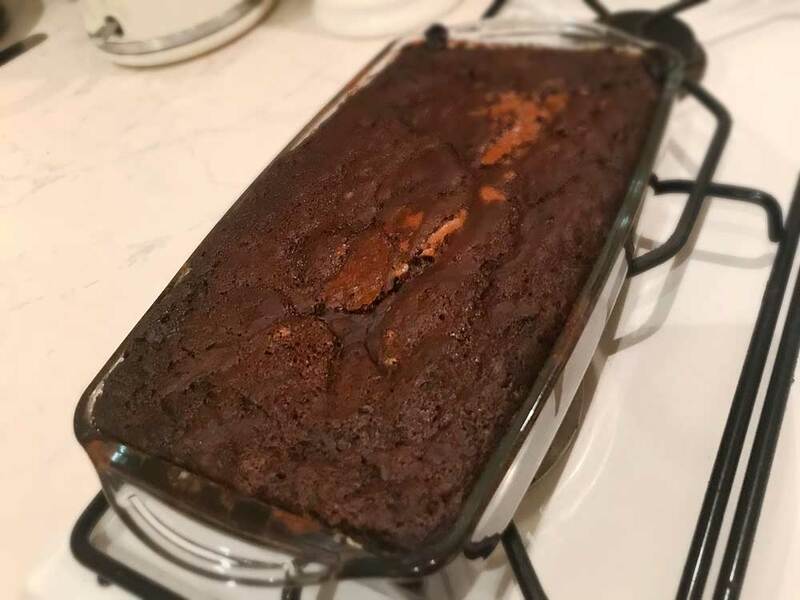 I found the method of using the hot water to cover everything to make the sauce a little odd at first, but when I pulled the cake out of the oven – oh my. I was ready to convert to being vegan just for that! The pudding went down a treat amongst people I shared it with, and was polished off in no time. You know those puddings you get in little pots that come with the sauce on the top and you microwave them? It tasted like that, but better!! 4Cover the whole thing in the dish, with the hot water.